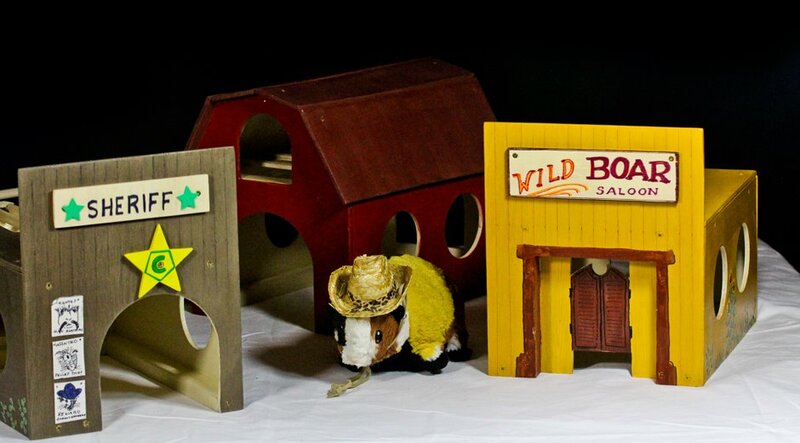 Remember the wooden guinea pig houses and hay wagon in our earlier posts? 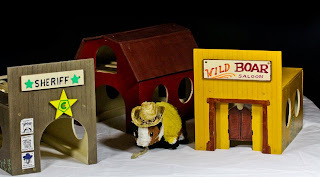 We just found out that they are adding a new Wild West themed collection of cavy hideaways and wanted to share their pictures here. 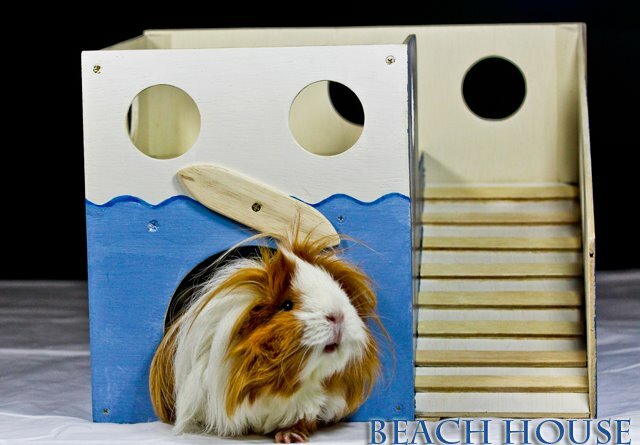 If westerns don't suit your taste, they also offer a piggy sized beach house. 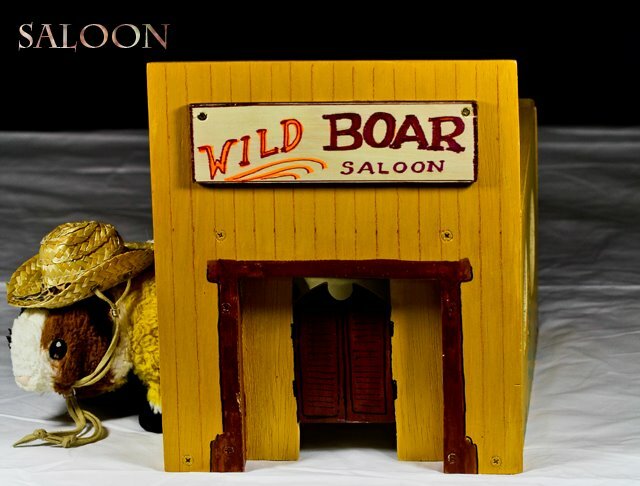 The Wild West collection is composed of a saloon house, sheriff's office and barn with hayloft (seen here). Each is cute and unique in its own way, with entrances and windows all around. For example, the cheekily named "Wild Boar Saloon" features a set of fixed accent saloon doors (the real entrance is on the side!). 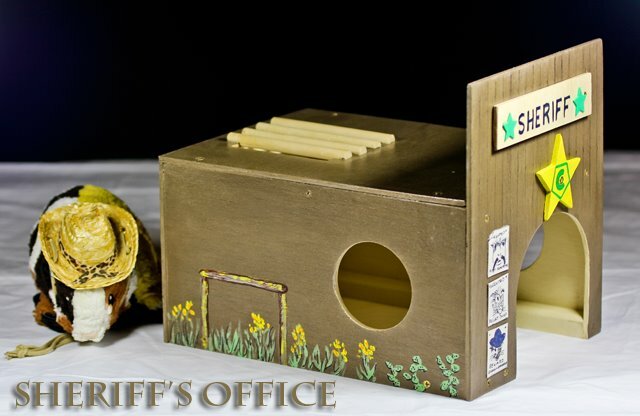 The sheriff's office house has miniature "Wanted" posters with drawings of guinea pigs and fitting captions such as "Pellet Thief" and "Green Grabber". 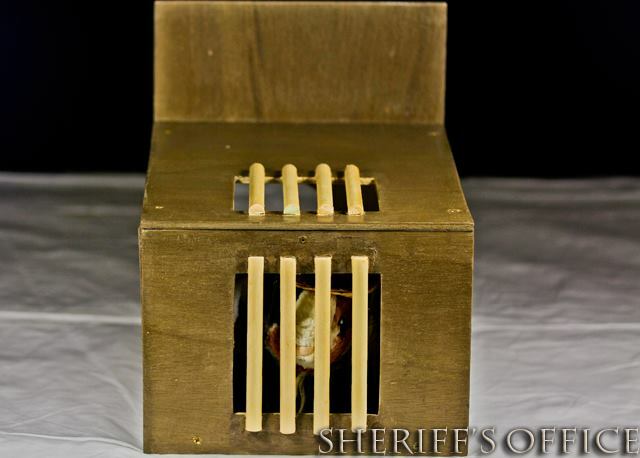 The openings on the back are outfitted with wooden bars reminiscent of a vintage western holding cell. Another new addition to the piggy house line is the surf themed beach house, with a ramp that leads to the upper level sundeck. 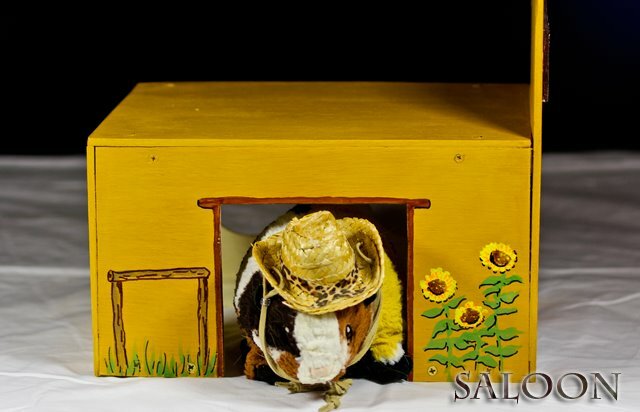 The pig sized surfboard above model Angel's head is a name plate that can be customized with your pig's name or anything else you like. The houses are $35 each. 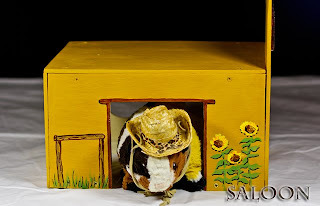 If you would like to order one for your piggy or find out more, check out Wheek Boutique on Etsy or email guineapighouses@yahoo.com. These can also be shipped to you if you live elsewhere, the previous houses we purchased were shipped to us in San Francisco without issue. 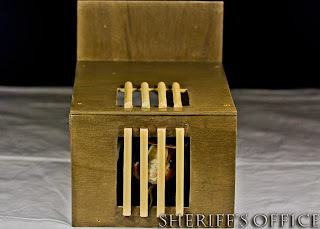 We pigs love all the new designs and plan on hog-tying our slaves until they agree to order us another cavy house! Edit: post has been updated to reflect corrections, these houses are made by an independent craftsman not OCCH. We apologize for any confusion.